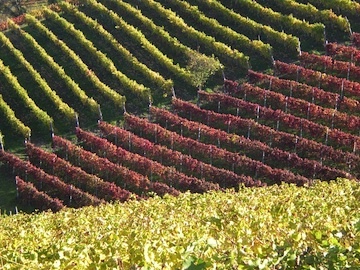 The Roberto Gabarino Winery produces its own wines where the soil is white, calcareous and in certain areas sandy, at an altitude of 500 metres a.s.l. Not only is the territory ideal for Moscato d’Asti, but also for many other white and red vines. Prolog is founded by two young and passionate baristas and coffee roasters Sebastian and Jonas, whose most important goal is to create a unique service and atmosphere for the guests by brewing the perfect cup of coffee in their charming little coffee shop in Copenhagen. Prolog Coffee Bar is about a great experience from the beginning to the end. Every single cup is brewed with a dedication and the ambition to deliver an extraordinary experience when tasting the coffee, which always should include, if you ask the two guys, a taste of terroir. The taste of terroir means that the two Prolog baristas intent to take part of the whole coffee process and by that try to define the most elegant taste in every cup by a complete roasting profile and a perfect brewing, which means that even when brewed on the espresso machine or the v60 way the coffee will always unfold its true potential. 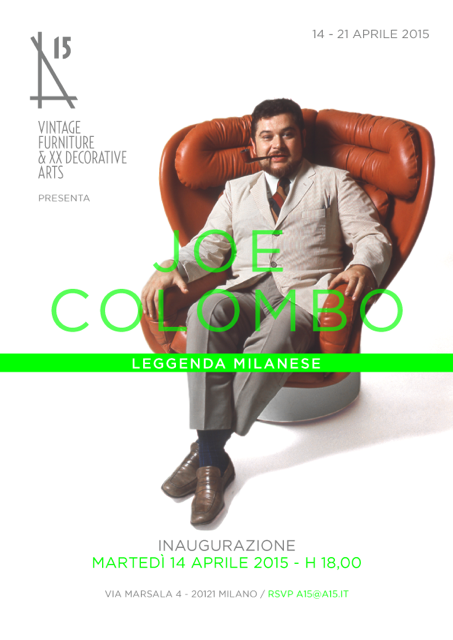 In occasion of the upcoming Fuorisalone 2015 and for the full duration of Expo, A15 focuses on a fundamtal figure of design of the 20th century: Joe Colombo. For the first time A15 wants to study in deep the work of a unique interpreter in the design industry, famous for having designed various products for numerous companies. The target is to create a market exhibition and to propose a large part of objects, furniture, lamps and curiousity of the past with various characteristics different from any product still in production nowadays. A special thanking to Studio Joe Colombo for the precious collaboration and granted trust.